Creating these pieces is a process of problem solving. Translating a drawing into color shades or 3 dimensions. The complexity that evolves as a sculpture takes shape draws out every sense. I am the sole creator of the work on display on this web sight. The bronze sculpture is originally made in clay and taken to the best available professional art bronze foundry for casting. The direct and immediate results that oil based clays allow, give me the opportunity to give an impression of the subject, rather than a 'picture' of the event. "The mission of art is to represent nature; not to imitate her" W. M. Hunt. 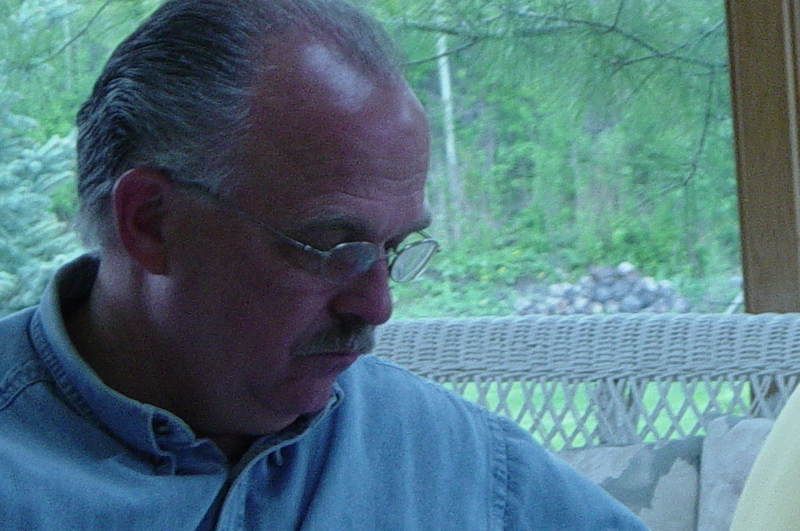 My subject matter for the sculpture comes from a lifetime of cowboy adventures, books and movies. Learning to ride on my Uncle's farm, traveling throughout the west, fly fishing in Montana and an occasional horse race. The paintings are inspired by images of my travels. I love the outdoors, and these paintings are sometimes a favorite view or, more often, what I think they should look like. I am trying to capture what the place or object feels like to me. I make art that I find interesting and sometimes humorous. I hope you enjoy them as well. Bronze Sculpture is a relatively new medium for me, but I have always enjoyed working in clay, wood, forged steel, as well as fabricating and casting silver and gold. I love the physical process of making, of hammering, welding and soldering. I like pushing clay around and working the delicate details out in the process. The years following college were plentiful with shows (domestic & international) and commissions. I illustrated a computer book for an author friend, but got away from regularly creating art. Several years ago, when I moved to Austin, TX, I met several artists who worked in bronze. It rekindled my interest in this amazing material. 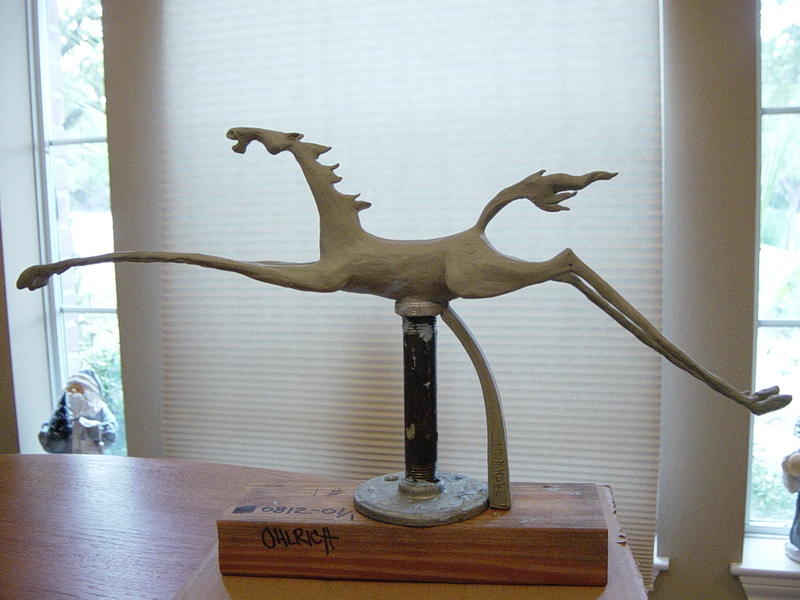 My bronze sculpture begins with an idea that can be developed into a three dimensional form. I draw images and develop my ideas in a series of sketches that illistrate the shapes and impression I intend to create. 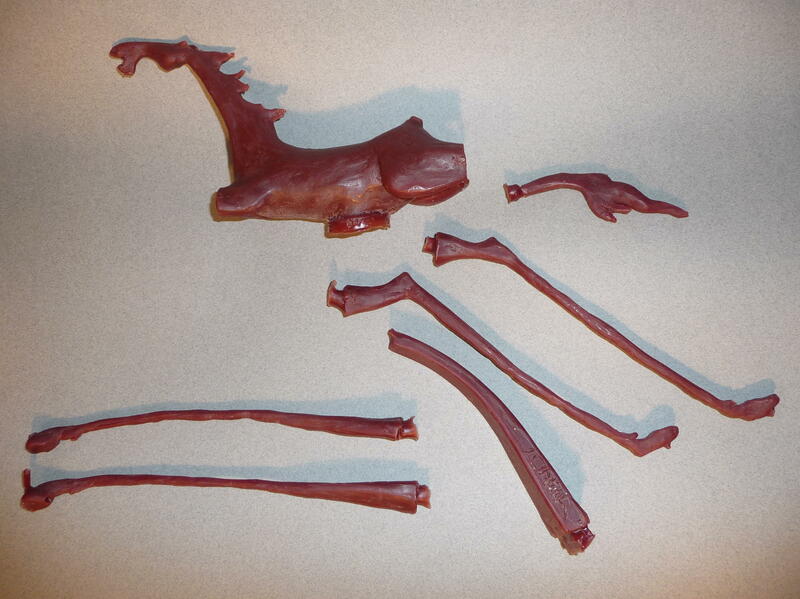 An armature (skeleton) is constructed onto which is placed oil based clay. The form is developed into the desired image. A mold is created from the form. 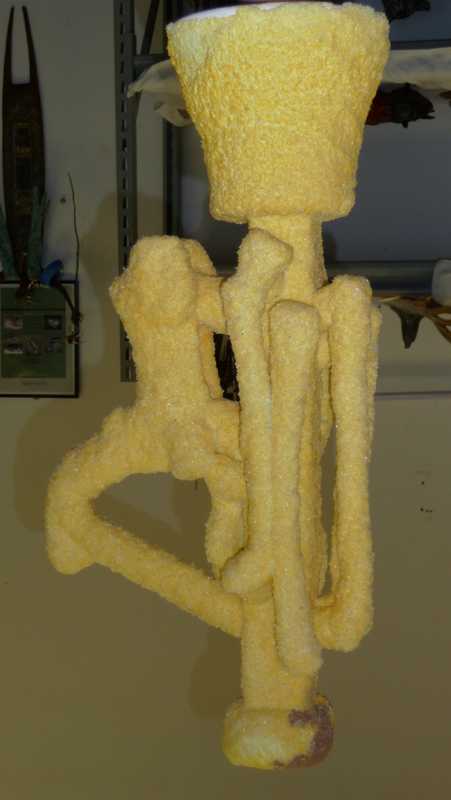 Wax is poared into the mold & an image is made to duplicate the original sculpture in wax. The wax is surrounded with a material that is resistant to heat. 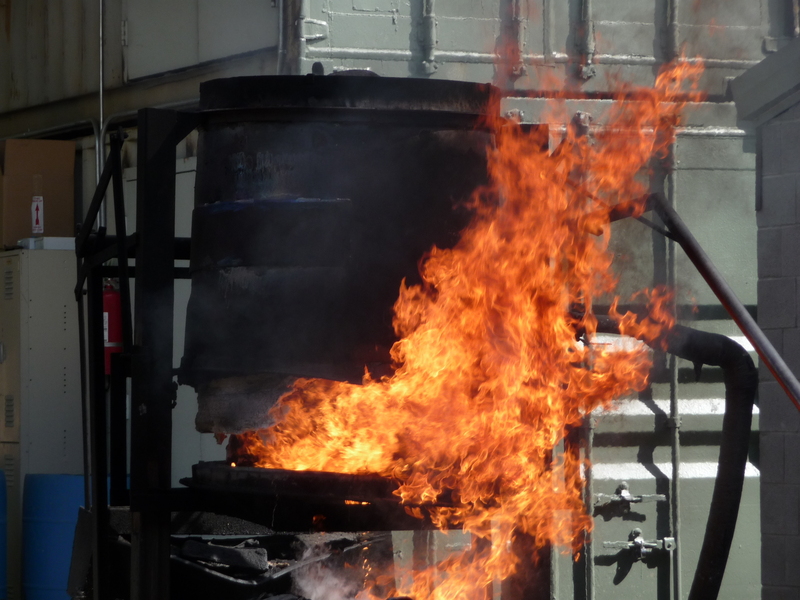 The wax mold is placed in a heated kiln where the wax (lost wax process) is melted out. 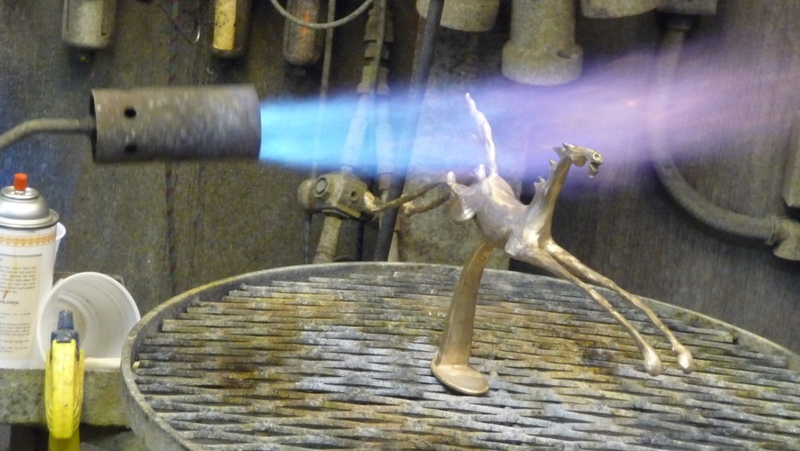 Molten Bronze is poured into the cavity where the wax had been. 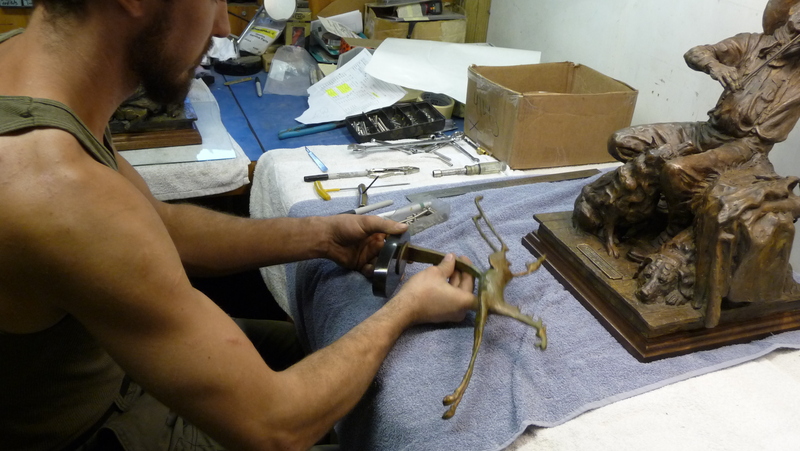 The cooled, hardened bronze is finished with a patina (chemical applied to the warmed sculpture).